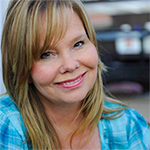 So many times I have written of my mother on Mother’s Day, or about things that she and I were doing or going through together, or going to Hooks baseball games. Mama was a huge part of my life for all of my then 65 years until she died January, 2013. 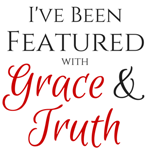 Now that she is gone from this earthly home, it suddenly occurred to me that I have not written a Father’s Day post since I began this blog in 2009. Just never thought about it. I honor my dad on Veterans’ Day and Memorial Day, but not on Father’s Day. So it is about time! 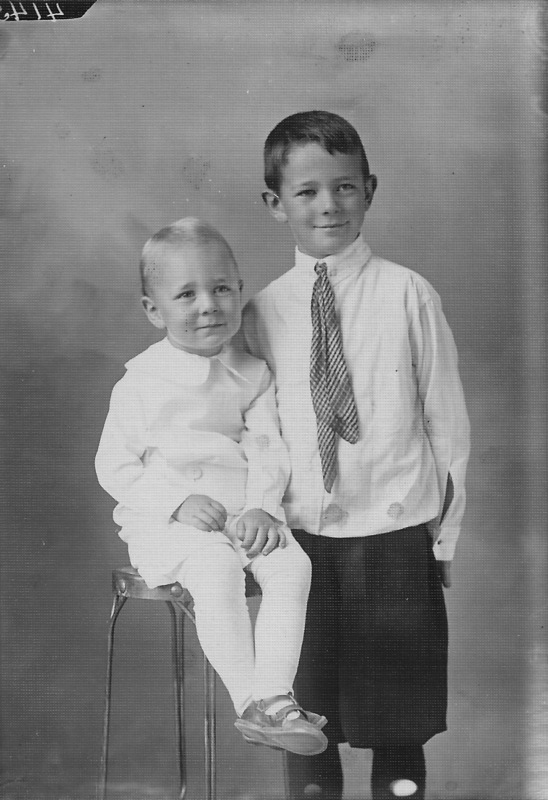 The young one is Daddy in 1915-16 with his older brother. 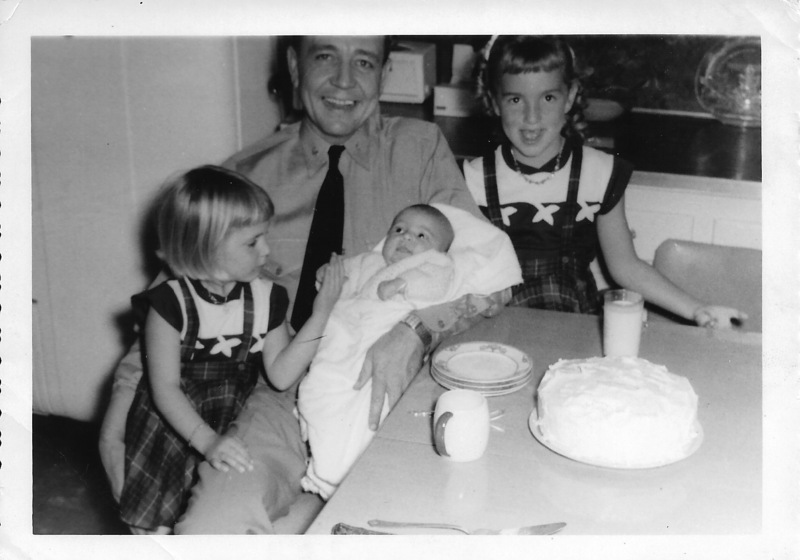 Daddy was born in 1913 in Kansas to Scotch, Irish, and English parents. My grandparents were not the immigrants but they were part of the generation that moved westward from Pennsylvania. Farmers, Presbyterians, even a circuit rider minister, were part of the heritage which fell upon my father. 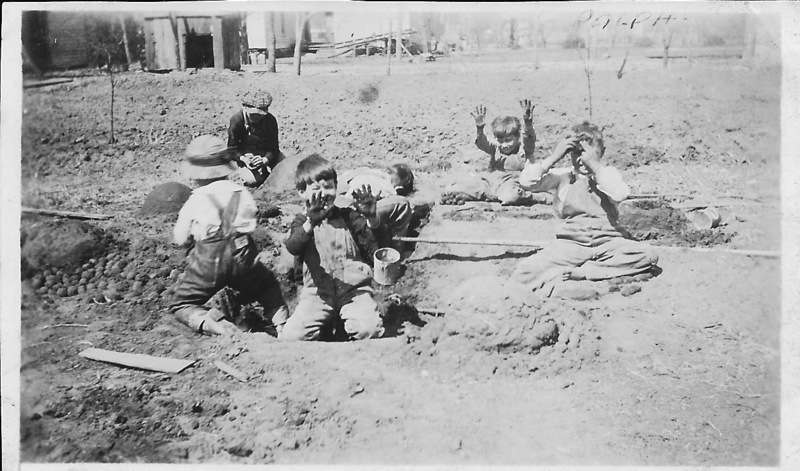 Daddy is the one furthest to the right, barefoot, hands over face, playing in the mud. My grandfather, a man I never met, became a physician and surgeon, later serving as Director of the Kansas State Board of Health. My father stepped into his father’s shoes to become a doctor as well. He was almost finished with medical school when WWII broke out for the United States. 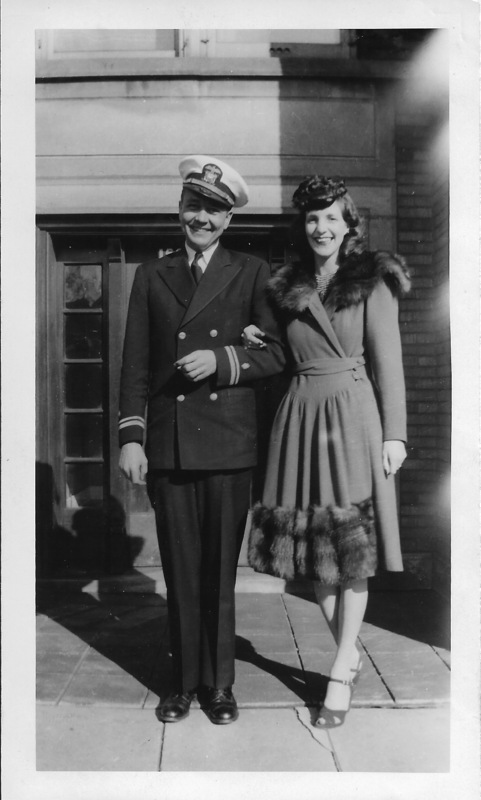 He joined the Navy between 12/7/1941 (Pearl Harbor) and 12/19/1941 (graduation) to become a Navy doctor. 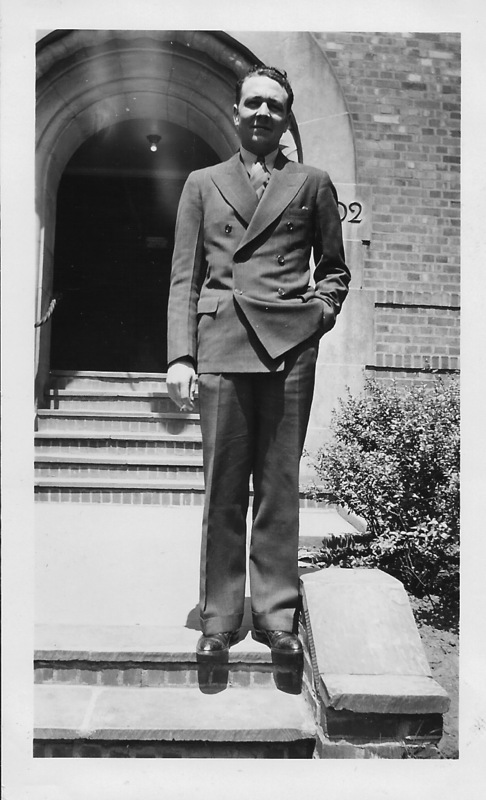 At Northwestern University, late 1930s until 12/1941 when he graduated. While he was attending Northwestern University Medical School he met my mother. They fell head over heels in love and married on his graduation day. They moved to California to spend a year at the San Diego Naval Hospital-Balboa Park. 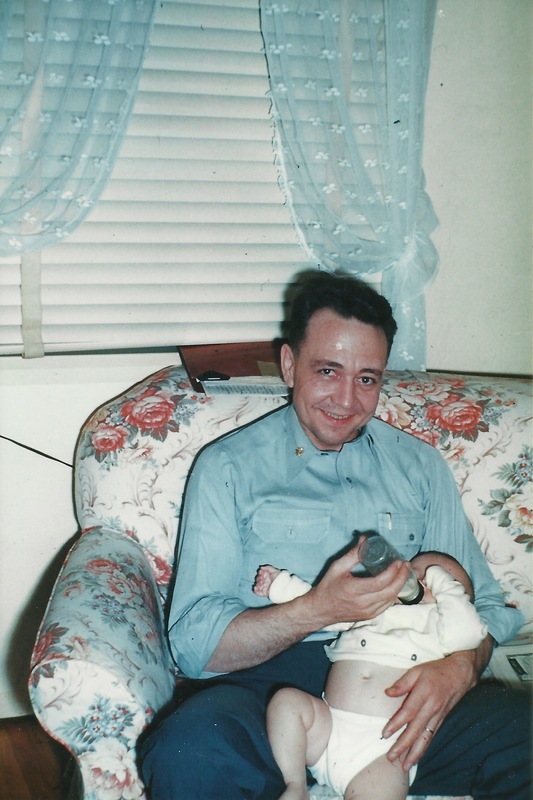 Daddy needed to serve as an intern before they sent him to the Pacific Theater during World War II to be a surgeon, physician, and infectious disease control officer. He treated the many wounded soldiers as the Allied Forces leapfrogged or islandhopped towards Japan. Thankfully, he made it home. And he was home at last to be with his one year bride before war called him away for almost two. Within three years of his return, I was born, their firstborn. I was 2 months old. Do you think these parents were happy? 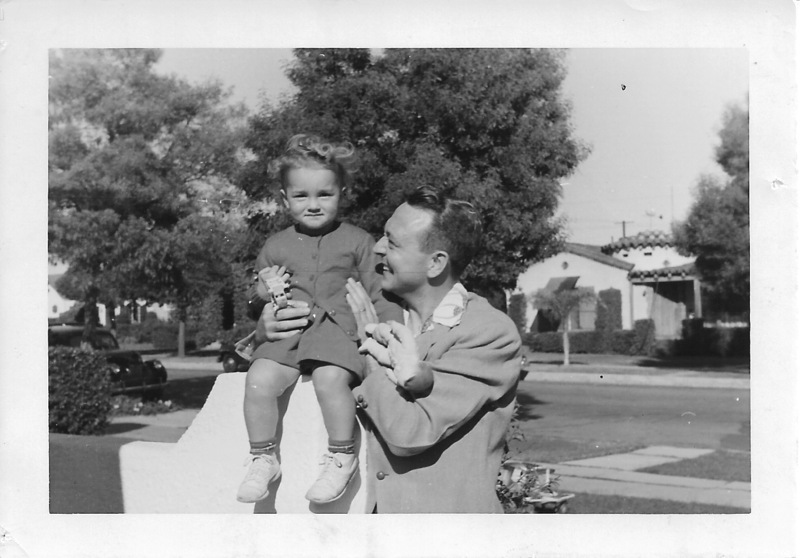 To complete his medical training as a resident, my parents were stationed back at San Diego. During the three years there, two of their three girls were born. They both loved us dearly. Even before his residency was completed, the Navy called him to be part of the post-war Manhattan Project. He was trained at the same places (Tennessee, New Mexico, Nevada, Berkeley, etc.) that the original Manhattan Project people were trained and did all the research for the Atomic bomb. He was called to be a Radiological Safety Officer for the 1946 Bikini/Operation Crossroads tests. He went aboard the ships that had had the bombs exploded over and then test for radiation. The masks were hot and the Geiger Counters did not work so well. He returned to Eniwetok Island for Operations Greenhouse in 1951. He later became Chief of Medicine of a Navy hospital in California. His rank increased to a Captain. 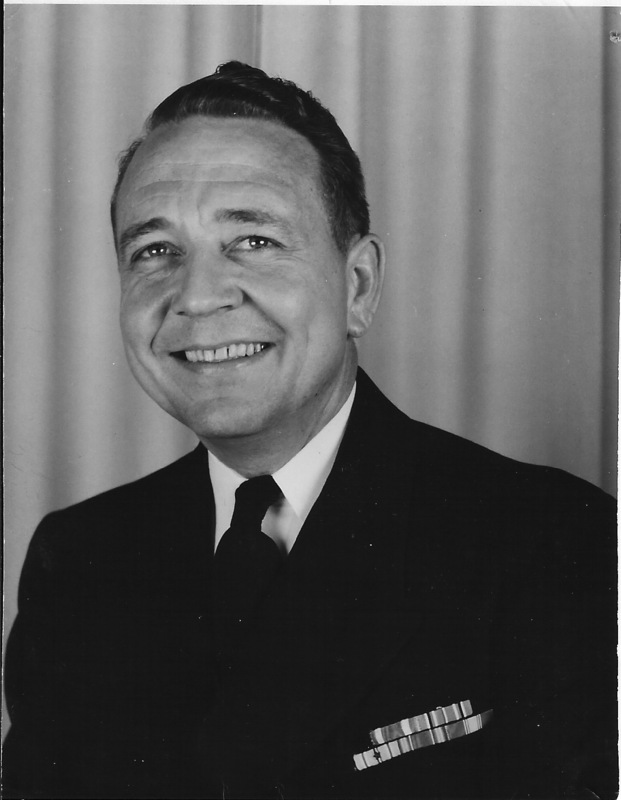 He loved the Navy. As most, if not all, mothers experience, when the father arrives home from work, no matter how worn out he may be, Mommy handed this newborn to Daddy while she prepared dinner, and gave herself sort of a break. I love this picture!!!! Look above his head! His file folder is on the back of the couch. He barely had time to toss it before I was tossed into his arms, a bottle for any free hand that he might have!! He did have time to take off his tie and unbutton the top button, I see! Remembering my father is sweet for me. I lost him when I was twelve to a cancer that is often connected to radiation in 1960. I was close to Daddy. He helped me with my homework at the dining room table all my school days. I especially recall his help with junior high math and sentence diagramming. He wanted me to try playing a musical instrument and convinced me to start with the clarinet. He played with us, taught us to work with wood in his workshop making a balsa wood tugboat to float in the bathtub. He was fun and silly. He was a dad. He took zillions of pictures of his family. He was caring and loving to us each and all. 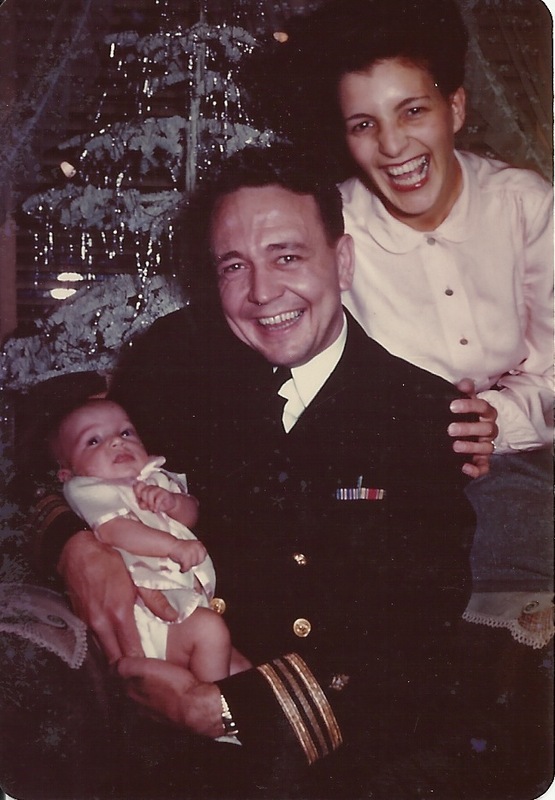 Daddy, whenever you went away on those 4-6 weeks tours with the Secretary of the Navy and the Surgeon General during your last duty station in Washington, D.C., you would say to me, “Take care of your mother and sisters for me while I am away, okay?” I took that responsibility seriously. Then one day, you did not return. I was not sure just what to do. I was one month away from turning thirteen. I was a girl. I wanted you back. I loved you so. I miss you, Daddy. I can remember your arms around me, Daddy. I can still feel your love flowing into my heart, see your smile, and sense your kisses. You were the best Daddy in the world for me. I am so glad you were the Daddy for me. I still miss you though. Thank You, Abba Father, for blessing me with this man for my father. I learned love, patience, kindness, and gentleness, silliness, and more love from him. You truly gave me a gift. I wish it had lasted longer, LORD. One day, I may understand why You took him so early in his life and in mine too. Until then, though, I will remember what I can about him, and know that You will help me to remember my Daddy. In Christ’s Name, I pray. Amen.